Labelstocks used for logistics and outer packaging must be able to withstand wear and tear caused by packing and transportation and still remain clearly legible. In industrial environments, they may also be exposed to harsh chemicals, mechanical abrasion, and extremes of temperature or weather. Our range of labelstocks offer reliable solutions to these challenges and are available for direct thermal, thermal transfer and laser printing, even of very fine fonts. Varying degrees of adhesion are available including high strength, easy peel, removable and tamper-evident options. Recyclable and wash off – whether you need labelstocks that peel off easily in warm water (enabling container recycling and tote box reuse) or those that adhere firmly when applied to a wet surface, these labelstocks will meet the brief. Suitable for product identification and shipping, excellent adhesive properties prevent peeling or dislodgement during transit or storage. Some also offer abrasion resistance and overprinting capabilities. VOID seal – packaging tape as well as labelstock. A clear way to flag any attempt at interfering with products or packaging, if the label is removed this labelstock’s tamper indicating properties will instantly reveal a ‘VOID’ message or a fractured face stock. 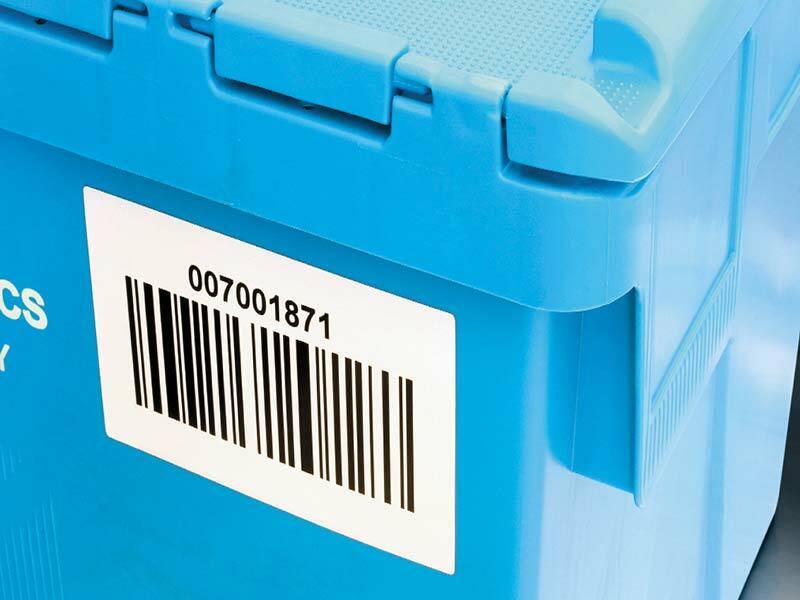 Traceability – labelstocks with superior printability for consistent, legible printing of customised labels with variable information such as barcodes.